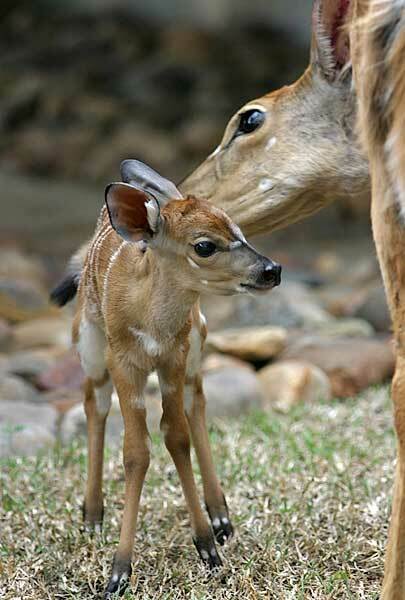 Caption: New-born Nyala baby (Tragelaphus angasii) with caring mother in close attandance, Kapama Private Game Reserve, South Africa. Photo: © Scotch Macaskill. Location: Kapama is one of South Africa’s largest privately owned game reserves, situated in the Limpopo Province safari area, renowned for its high density of big game animals. A game drive in Kapama Game Reserve, with a qualified ranger and expert tracker, provides an authentic safari experience, offering exceptional wildlife viewing in the untamed African bush.